We are excited to be at the Bett Show this week talking to new customers about our enterprise Wi-Fi solution for higher education. Aerohive provides secure Wi-Fi for colleges and universities that is simple to install and easy to manage. If you are at the show, stop by Stand #C261 to meet our team and learn how Aerohive can deliver A+ Cloud Managed Wi-Fi with our innovative products and solutions. In a nutshell, it’s the best Wi-Fi solution for higher education. By choosing Aerohive as your partner for your college or university Wi-Fi and networking solution, you’ll enjoy all the benefits of modern enterprise Wi-Fi without the headaches. With Aerohive’s cloud-managed solutions, you’ll be able to deploy a single location as easy as a thousand locations. Aerohive’s HiveManager network management system allows you to manage and monitor your network anywhere in the world with little effort. Each access point works together to blanket your campus in reliable and robust Wi-Fi. One of the differences between Aerohive and other “cloud” solutions is the management aspect. 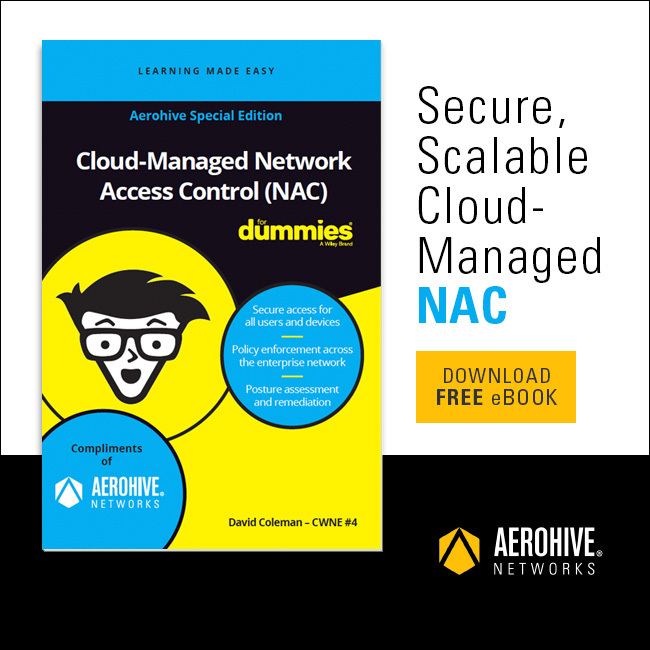 While you do manage your network from a cloud-based system, the local network is not dependent on it. The design of our architecture brings all the benefits of the cloud (ease of access and deployment) without the downsides (Wi-Fi being dependent on third-party data center). If you’re at Bett this week, we’d love to chat, so be sure to stop by Stand #C261 to meet our team! We’d love to talk about why Aerohive has the best Wi-Fi for higher education.